Don’t blame yourself if you thought the name looked familiar. 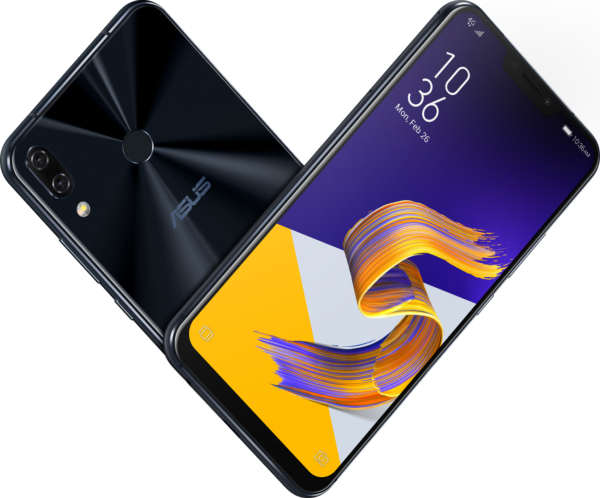 The new Asus ZenFone 5, out in Singapore now, may share a name with a predecessor from 2014 but it is a much more souped-up version aimed at a tough mid-end market. Unveiled yesterday, it drops the budget label that the previous Intel Atom-powered model carries. Instead, it aims for a premium feel reminiscent of more costly flagship rivals. The ZenFone 5 sports a familiar glass and metal design that you can say brings it close to the competition, yet makes it indistinct on a crowded shop floor. 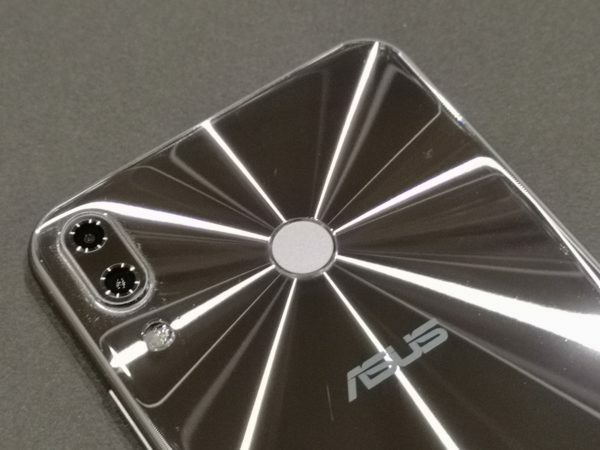 Save for the iconic concentric circle design that Asus is well known for in its laptops and phones, the new ZenFone 5 could struggle to stand out from the rest. Performance-wise, you get what you pay for in a mid-end S$488 phone. It may not sport the fastest processor in the mid-end Qualcomm Snapdragon 636 but it should be no slouch, either, in everyday tasks. The Adreno 509 graphics chip, 4GB of RAM and 64GB of on-board storage will make sure that the phone is speedy enough for most things you throw at it. The good news is it comes with dual 4G SIM card slots, plus the option to use the second slot for a microSD card holding up to 2TB of stuff. This is certainly welcome at a time when flagship phones such as the Huawei P20 Pro seem to do away with expandable storage. I am also stoked that the ZenFone 5 comes with a headphone jack, a feature that is being dumped by many manufacturers such as Google, Huawei and Sony, despite it still being useful to many users. Nonetheless, if you do want to use your wireless headphones, the ZenFone will support Bluetooth 5 and aptX over the air. If you are an audiophile, the phone supports Hi-Res Audio and DTS Headphone:X over headphones as well, so good amount of formats there. Equally important is the screen. The ZenFone 5 comes with a 6.2-inch Full HD+ IPS screen in 19.9:0 aspect ratio. Even though it is not an OLED screen, it is plenty sharp and bright, going by a quick hands-on test I had at the launch. The most unfortunate part is that it too comes with an iPhone X-like notch at the top. Asus, unfortunately, has become the latest Android phone maker to sport a controversial feature that even some Apple users have questioned. 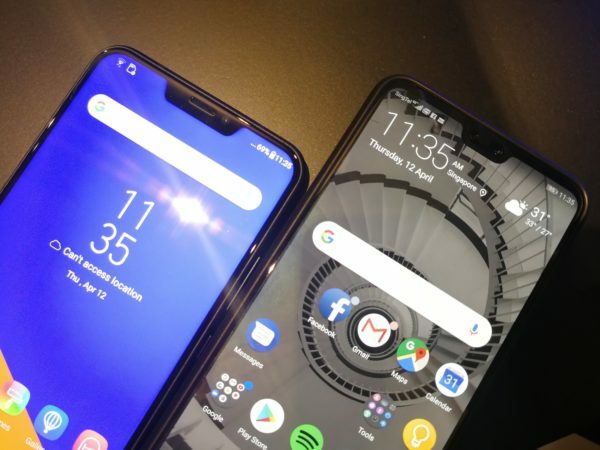 Notably, the ZenFone 5’s notch is even larger than the one on Huawei’s P20 Pro. And there is no way to hide it. When it comes to the camera, Asus has is following in the steps of LG by combining a standard lens with a wide-angle one. This means you can get the background or landscape during a holiday. The ZenFone 5 provides a 12MP 1/2.2-inch Sony sensor with a regular f1.8 lens of 24mm equivalent and a secondary 8MP sensor with ultra-wide angle f2.2 lens at the equivalent of 12mm focal length. Like its rivals, Asus is trying hard to upsell the phone’s artificial intelligence (AI) capabilities. When you point the camera at, say, a flower or a landscape, the phone will try to determine what you’re trying to capture and adjust the settings to deliver an optimal image. This is similar to what Huawei does with its AI-enabled flagship phones of late. The Huawei P20 Pro recognises 19 scenes, more than the ZenFone 5’s 16 now, but the Taiwanese firm has promised more when the phone’s firmware is updated. What I am really intrigued by is its self-learning capabilities. The phone’s AI Photo Learning is said to be able to receive instructions from users on how to post-process photos and use the same settings for future captures. It’s an intriguing feature that I want to check out more with a review soon. Stay tuned. How to lunching date in India??? 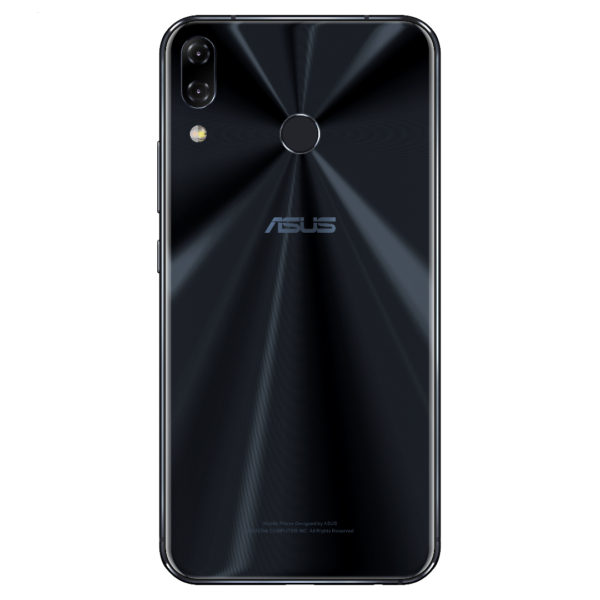 Any news on Zenfone 5z availability? Hi John, no news on that front yet. I would rather buy Honor View(V)10 (especially the Navy Blue), if Huawei bring it to Singapore.